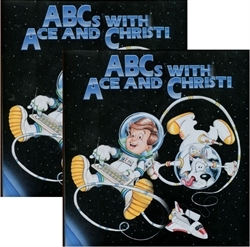 ABC’s with Ace and Christi is a multi-sensory, phonetic reading program. Within the full year of tutoring, your child will learn to read by becoming acquainted with cartoon animals, songs, and stories, which help him learn letter sounds, alphabet sequence, and word relationships. Physical and character development skills are built through poems, displays, and various physical activities. Parents will administer a pretest to their students who have never been in school or who do not yet know how to read. This test will assess the students readiness to read. For students who are already reading, this program will help reinforce phonics and encourage character development.